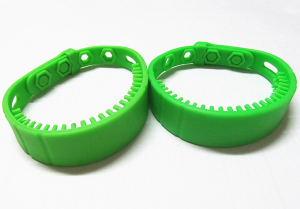 This ACC23 wristband complies with the EPC C1G2 (ISO18000-6C) standard. The frequency range is 860～960MHz (It can be used worldwide). Each tag has a unique ID and stores user data. It can be used for personnel management for hospital or places of amusement. Application: People identification in medical care or places of amusement, etc.